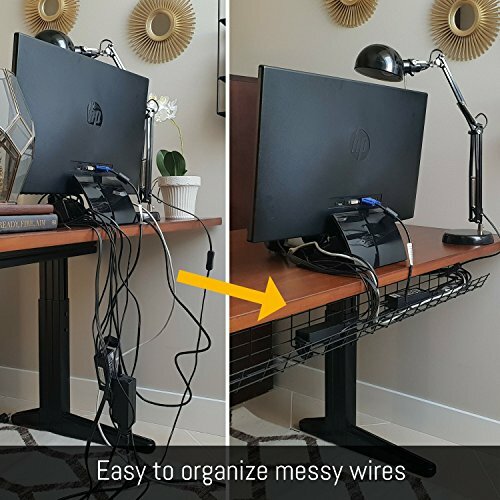 This spacious and sturdy computer wire organizer is made to last forever and to make your office cable organization easy. 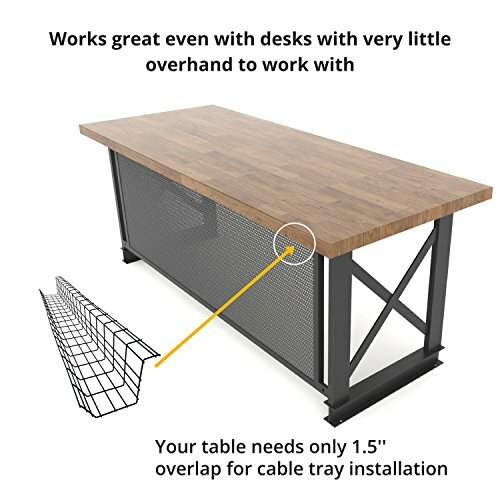 The raceway cable management set includes all the screws you need to provide secure attachment to the table. 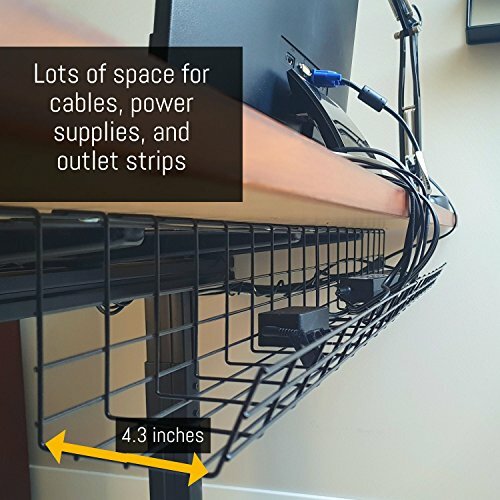 You could use this under desk mount set as a standing desk wire management tray or a cord organizer for regular office tables. You are able to easily and quickly add or remove power cables, bricks, and wall warts. Fun fact - it is STRONG: we placed 6.6 lbs dumbbell into the desk cord holder and it held up perfectly. So, this wire holder for desk can really hold a lot of weight! 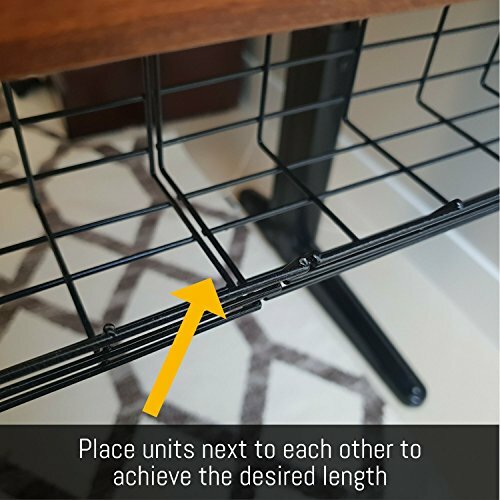 ✅ LOTS OF SPACE: Avoid messy hanging wires! The cable management rack has lots of space for cables. It fits even hefty power strips and will not bend under the weight of one workspace cables. The wire holder is made out of steel, giving it sturdy construction. It is fully welded and powder coated for long life. 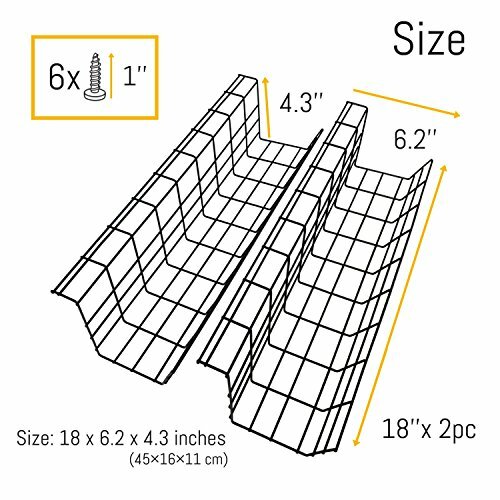 ✅ ENDLESS LENGTH OPTIONS: The set contains two under desk organizers (18'' each) giving you a total of 36'' of under desk wire management space. 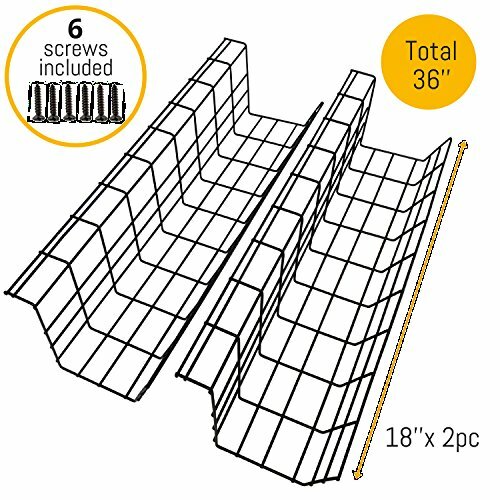 Units can be used alone or combined to create the desired length by purchasing additional sets. 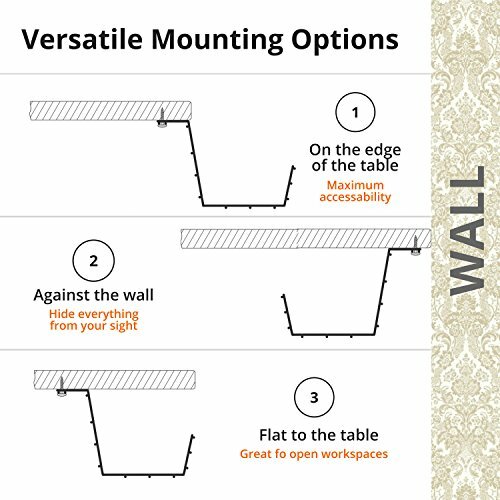 ✅ BETTER DESIGN: Works great even with desks with very little overhand to work with. 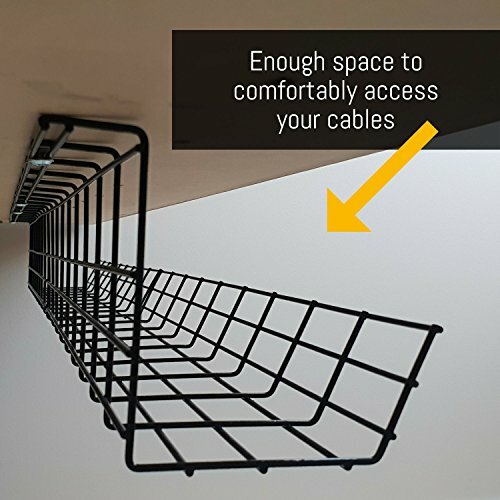 The cable rack has a unique design to be mounted from anywhere along the length of the tray unlike other trays that have fixed screw locations. 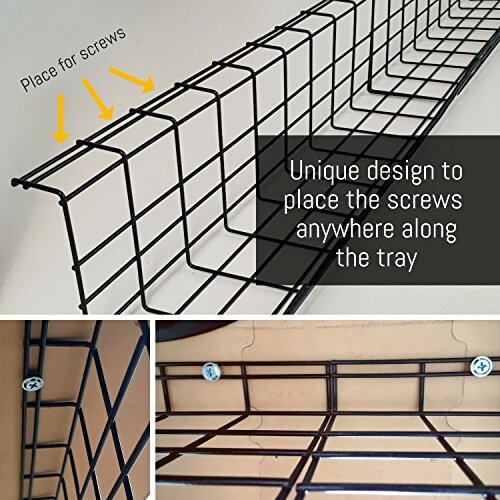 Open wire mesh design requires less maintenance than plastic ones because dust does not accumulate almost anywhere. If you have any questions about this product by Scandinavian Hub, contact us by completing and submitting the form below. If you are looking for a specif part number, please include it with your message.